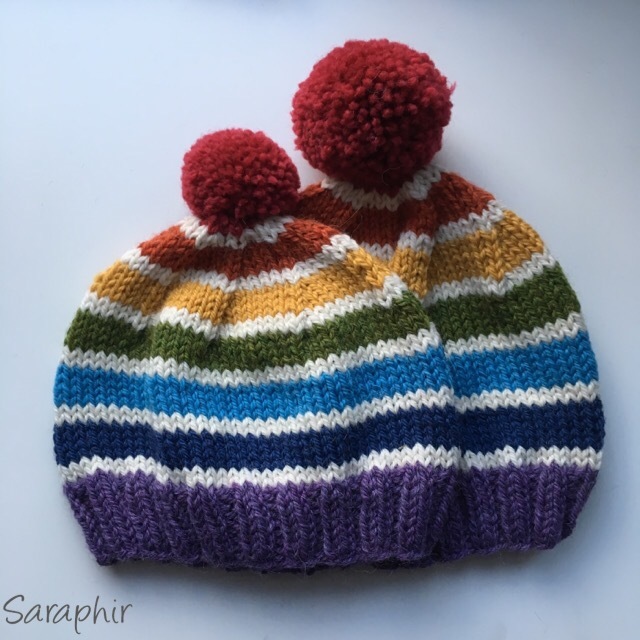 The time has finally come to post this pattern for this knitted toddler and child beanie – the Knitted Child Bentie Pompom Beanie. 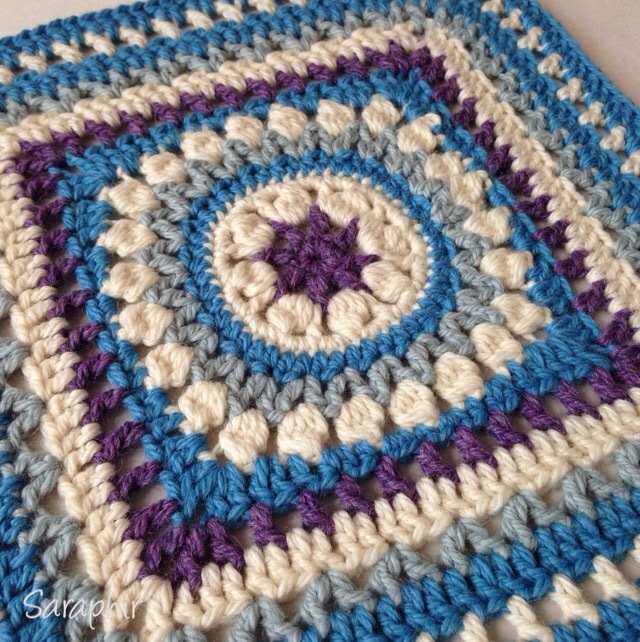 The pattern is relatively simple and is a good way for beginners to practice working on circular or double pointed needles and working with stripes. 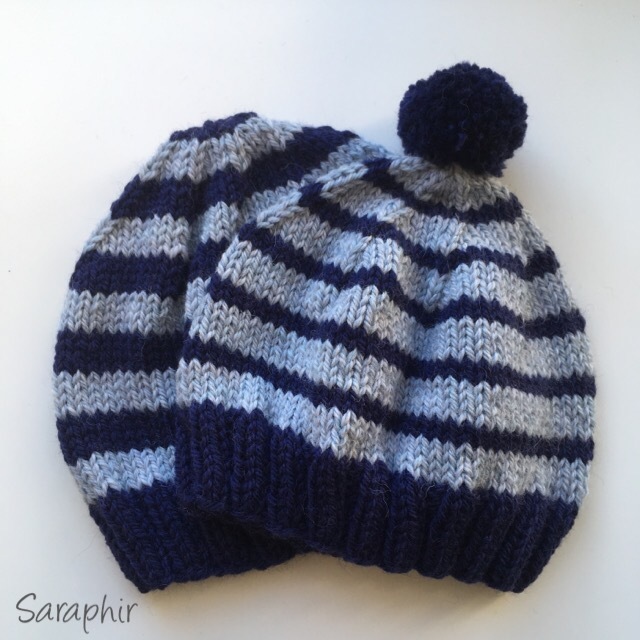 The hat can be made in two sizes – toddler and child – and should fit most children up to age 7-9. However (and when working out sizes based on age there is always a big however), some children just have big heads. My 9-year old nephew has the same head size as his mum, my sister. You can find the pattern for adults here. 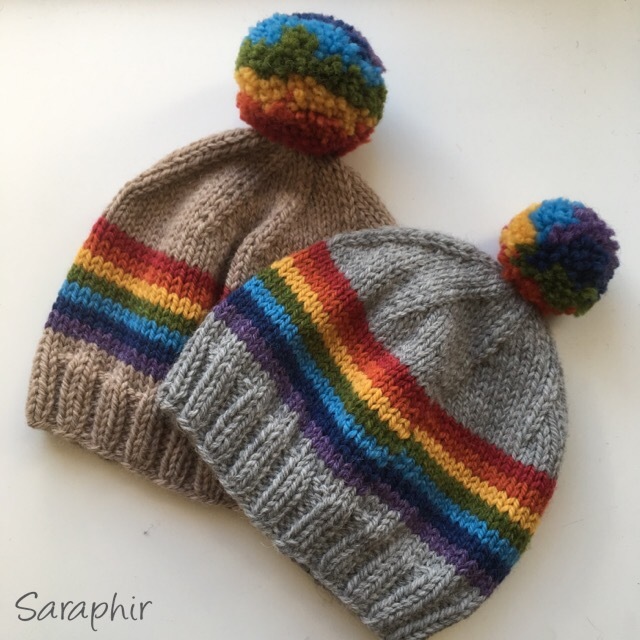 The hats are longer than most indications I could find online as I found from trying them on my nieces and nephews and from getting measurements for custom orders that the lengths given on other sites were just not generous enough. I also think it is better for it to be a bit big so there is space to grow, rather than it not quite covering the ears. One of the benefits of this hat is that it works equally well with or without a pompom. Even though it is very cute with the pompom it might just be considered too cute by boys when they get a bit older (certainly my nephews thought that! ), so I make some for boys without pompoms as well, just to be on the safe side. 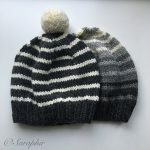 The hats are made with Drops Nepal yarn – an Aran weight yarn in a 35% alpaca and 65% wool mix. This mix works really well as it is really soft and non-itchy due to the alpaca content. 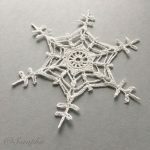 I use 5 mm needles and the gauge is the pretty much exactly the same as the one given by Drops: 10 x 10 cm is 17 stitches and 22/23 rows. I start all my hats on circular needles (20 cm long) and when it starts to get too tight due to the decreasing I transfer the stitches to wooden double pointed needles. I prefer working with wooden ones as the stitches slip off the metal ones very easily and I found my hands were getting more tense from the effort of preventing this. You can make the hats on straight (two normal) needles as well and sew the sides together at the end, but the end result is not as neat. I taught myself to knit on circular needles and discovered just by doing that it is quite different from working on straight needles. The reason for this is that you don’t turn your work, so you never work on the wrong side of the piece. 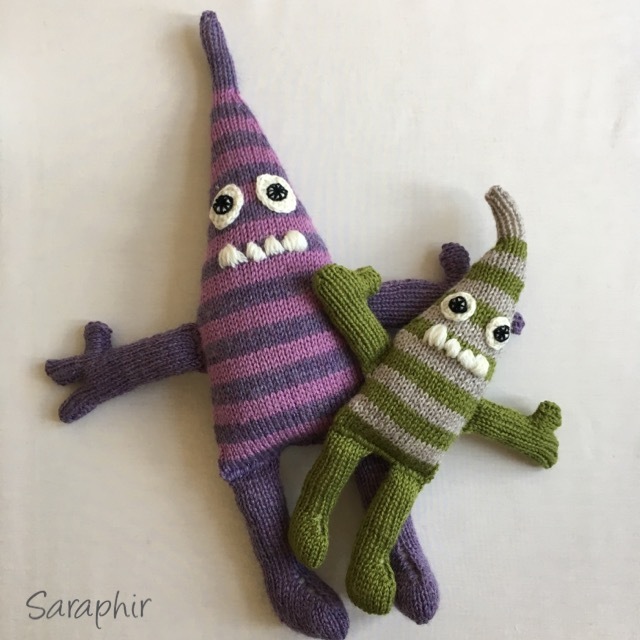 This means that when working stocking/stockinette stitch you only do knit rows – never purl, and when you are making the rib section you are not alternating between starting a row with knit and purl, but always starting it with the same. The hats for toddlers are 7 inches/ 18 cm long and the circumference is around 18 inches /46 cm. The larger hat is 8 inches/ 20 cm long and the circumference is 19 inches/ 48 cm. As mentioned this is longer than the measurements I found online, but when I followed those measurements the hats were too short. The pattern is given below. Apart from the rib section the hat is only worked in stocking/stockinette stitch and the pattern is written out as if you are using circular needles. If you are working on straight needles you will need to purl every second row, which should be the row between the decreases. 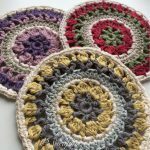 The Round numbers are given as if you are making a hat for a toddler where you would do 18 rows of stocking stitch – if you are making a hat for an older child (22 rows stocking stitch) you would need to add 4 to each row count. Please remember that this is my design and my copyright. 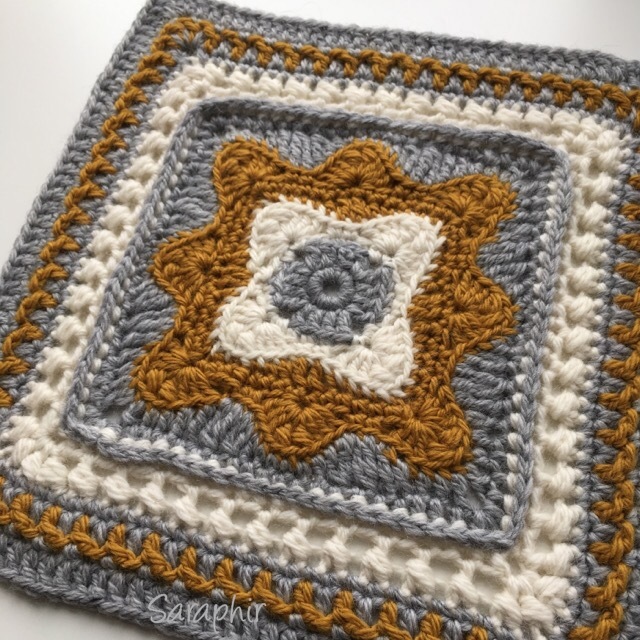 Please feel free to use it for yourself, but you may not copy and post the pattern as your own. 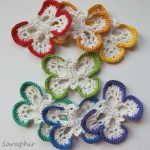 If you sell what you make or post pictures of your makes I would appreciate if you mention where you got the pattern and direct people to my site – this will help me to be able to post more patterns for free in the future. Thanks! Cut the yarn leaving at least 20 cm. Thread it on to a darning needle and pull the yarn through the remaining stitches while they are still on the knitting needles. Take the knitting needles out and pull tight. Circle through the stitches a few more times and pull tight again. Bring yarn to the backside of the hat and sew in the end. Sew in all other ends. Make the pompom and fasten securely to the hat through the top. 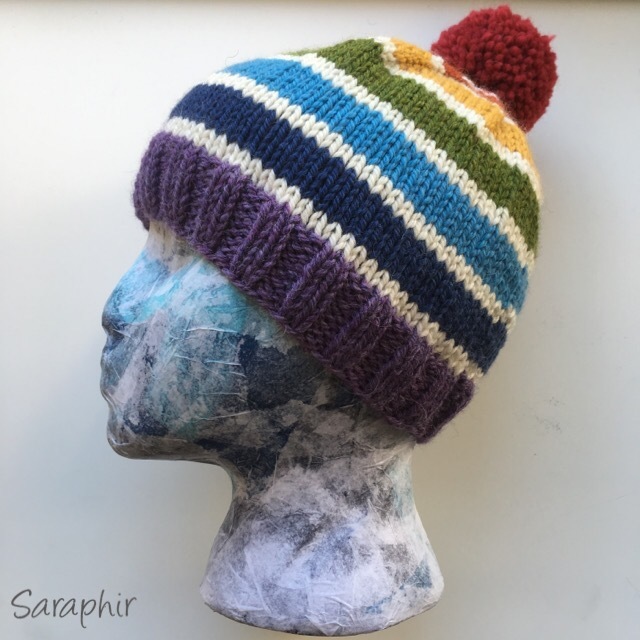 I hope you have fun making this hat and experimenting with different stripe combinations. 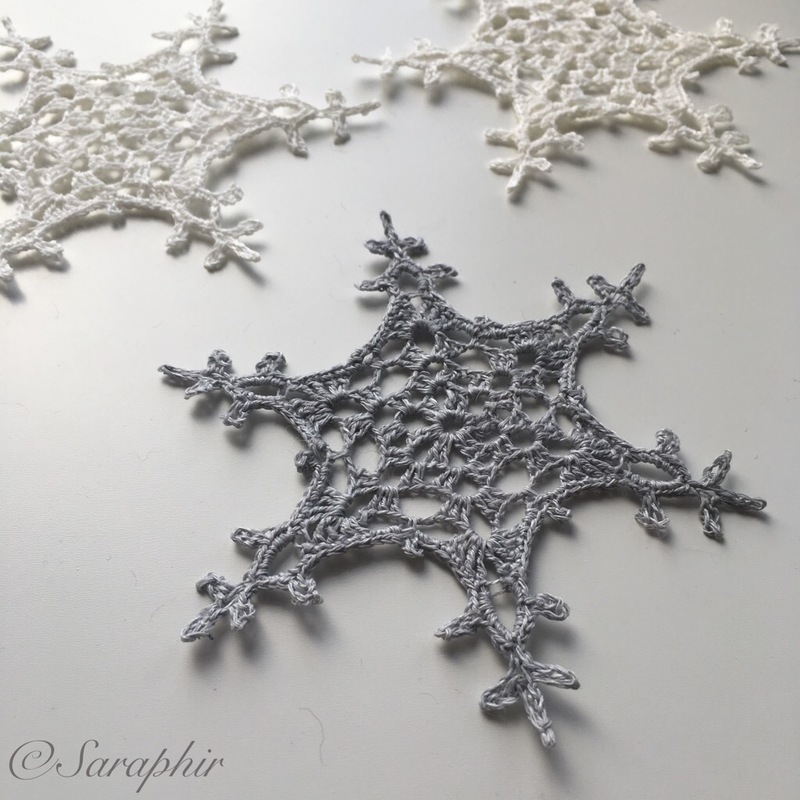 I would love to see photos of your makes so if you feel like it you can put you make as a project on Ravelry or you can tag me on Instagram using @saraphir or post a photo to my Facebook page. 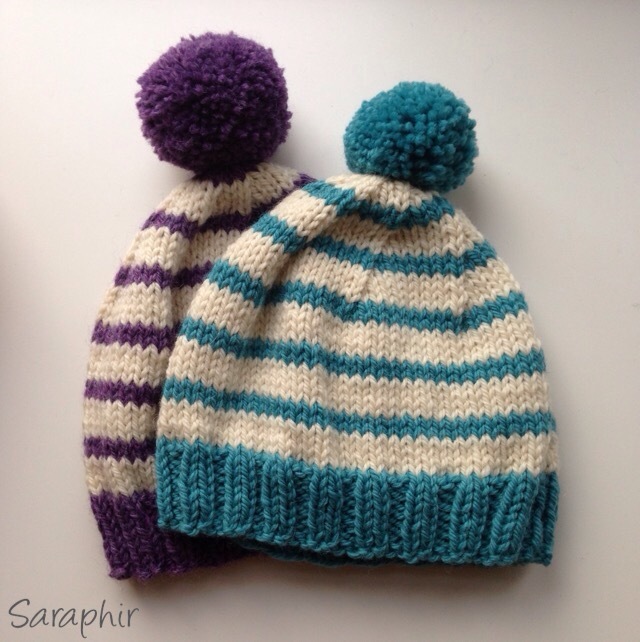 There will be more knitted hat patterns coming in the near future, so stay tuned! How many stitches would you cast on for a toddler beanie? I see it is 80 stitches to CO for a child.